DANNY O�BRIEN is the frontman and primary songwriter for The Minimum Requirements. He plays the guitars, accordion, banjo, mandolin, keyboards and occasional percussion. Danny was born in 1983 in Tucson, Arizona, but has spent most of his life in Cleveland, Ohio. He was interested in music early on, teaching himself to pick out songs and chords on an old electric organ. He developed a perceptive ear and a desire to entertain. In middle school, Danny played percussion in the school band, got his first drum set, taught himself MIDI sequencing, became a serious Beatles fan, developed an interest in reggae music and world percussion and began writing songs. During this time he also worked with Justus Brake (whom he had known since the third grade) in the �Odyssey of the Mind� problem-solving program, and met the Wahl family while performing in North Olmsted High School's production of The Sound Of Music. The seeds of TMR were quietly sown. During the summer of 1997, before his freshman year at St. Ignatius High School, Danny first heard the music of They Might Be Giants, and started teaching himself to play guitar and several world percussion instruments. In the spring of 1998, director Chris Venesile invited Danny to play auxiliary percussion in the rhythm section of North Olmsted High School's �Special Edition� vocal jazz ensemble. 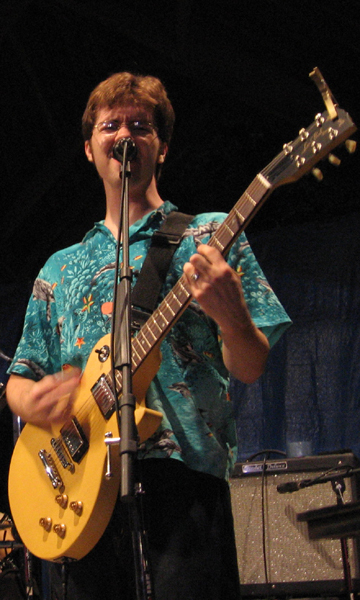 Danny�s skills�and his collection of exotic drums�caught the attention of Special Edition drummer Eric Wahl and pianist Jonn Sokol, who invited him to join their band Sarcasm Included, which also included guitarist Gabe McElwain, bassist Chris Nunnari, trumpeter Kevin Kasick, and vocalist Ben Bruening. Danny performed one concert with the group before it broke up in the fall. Just before Sarcasm Included disbanded, Danny had written a new song called �Sandbox� specifically for the band. Sarcasm Included never played it, but Danny kept the song up his sleeve, since he and Eric were intent on starting a new band. For Christmas of 1998, Danny�s parents gave him his own electric guitar. Thus equipped, he began to work on new songs with Eric. That winter, Danny had also been playing drums with bassist Justus Brake in a band called Feelin� Fine, which broke up after a disastrous Valentine�s Day concert at Peabody�s Down Under. That spring, Danny and Eric recruited Justus as the third member of their new trio, and in May of 1999, The Minimum Requirements were born. They made their first public appearance that August. Throughout high school, Special Edition continued its tremendous impact on Danny�s musical education and helped him cultivate a love of jazz and improvisation. By junior year, Danny was the group�s permanent drummer, and he got the opportunity to perform and record with a plethora of incredibly talented vocalists and musicians, particularly Chris Venesile, bassist Aaron Tully, pianist Marty Witzcak and vocalist Erin Kufel. During his undergraduate years at The Ohio State University, Danny became obsessed with bluegrass music and acquired a banjo, a mandolin and a fiddle, all of which began to show up on TMR recordings and occasionally in shows. While working at Tubthumpers Music in 2005, Danny sought professional instruction on the fiddle, so he and Laura Simna began to trade lessons. The two soon realized it would be better if instead they jammed together on the instruments they were actually good at, which eventually led to Laura's induction into the band. When not playing with The Minimum Requirements, Danny works as a Youth Minister at the Church of St. Clarence.